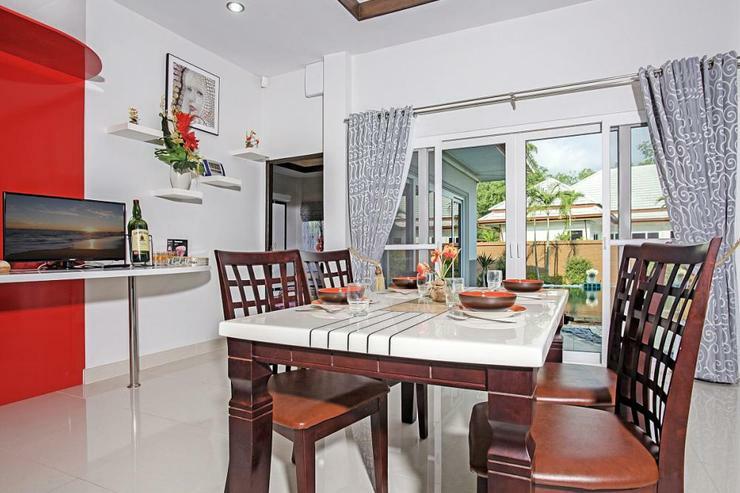 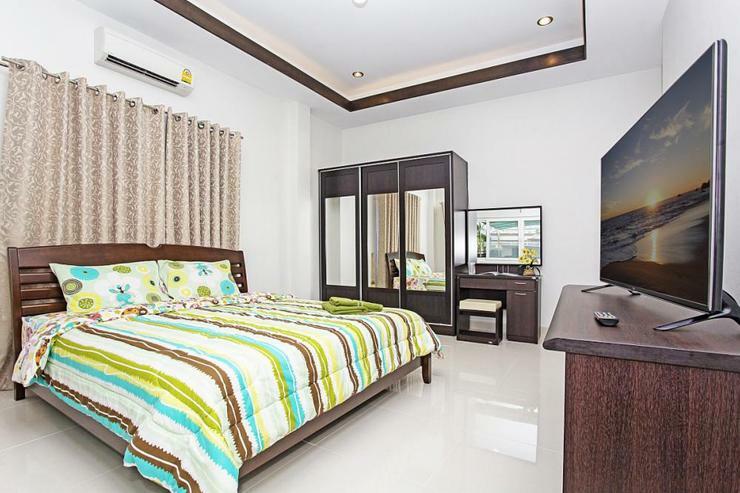 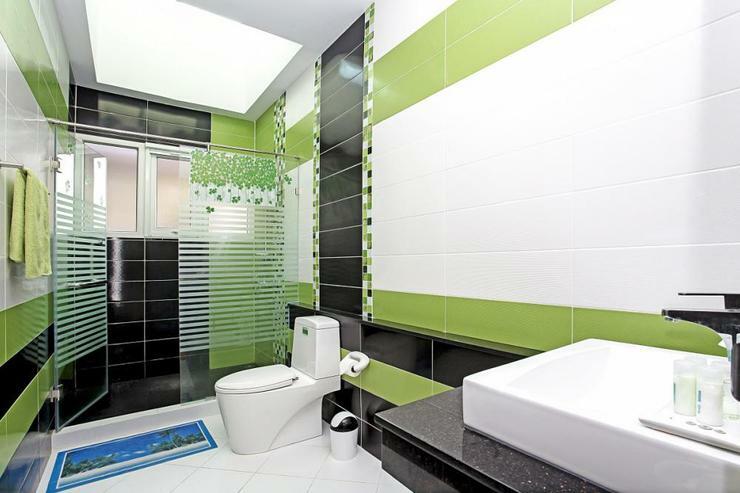 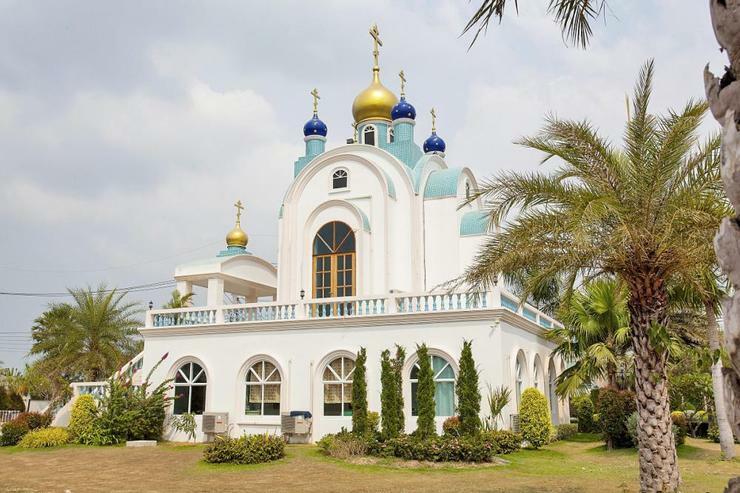 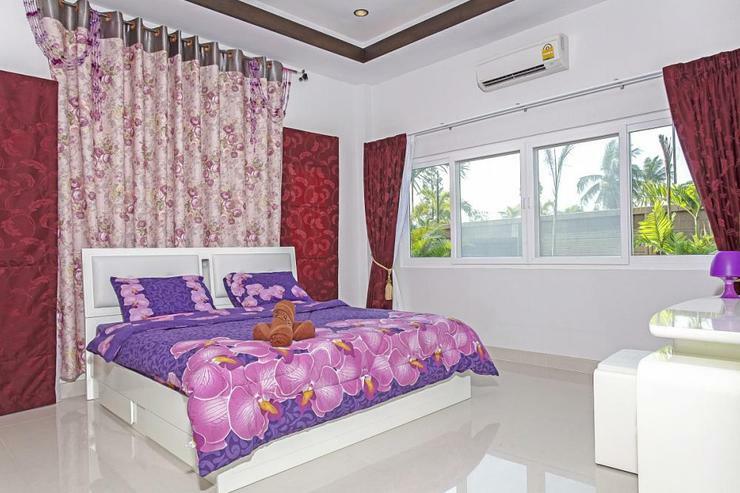 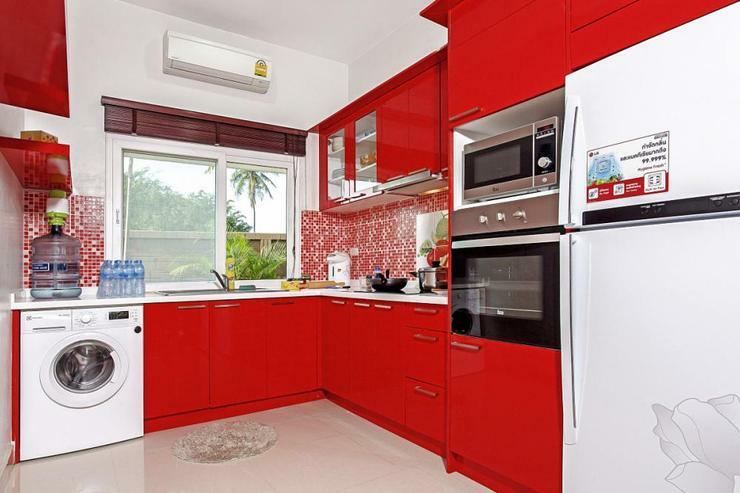 The villa is located in a world-class residential development in the Bangsaray Countryside, near to Silverlake Vineyard, Buddha Mountain and Nong Nooch Gardens, with Bangsaray Beach being a 5-minute drive away. 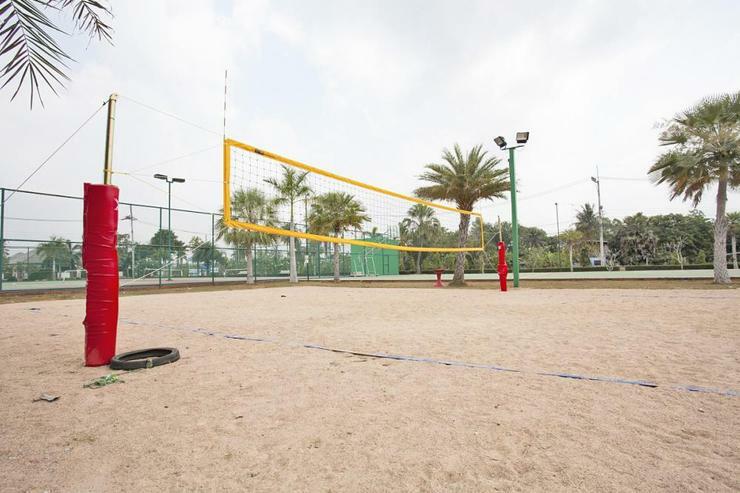 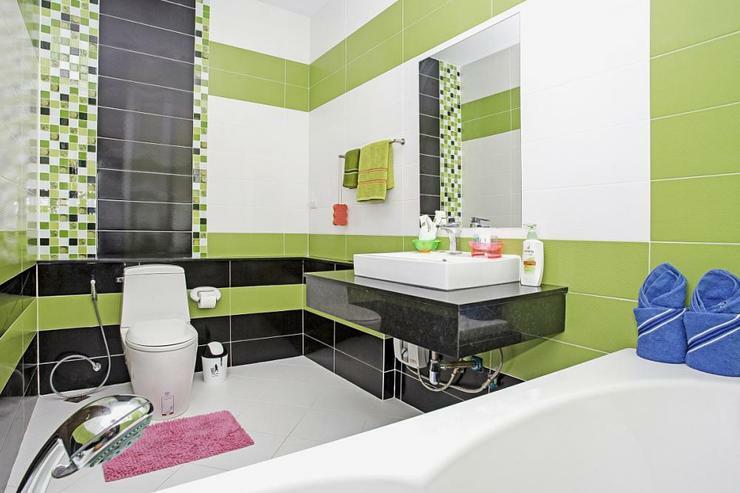 On the estate, you will find a vast choice of communal facilities such as a clubhouse with a swimming pool and waterslides, a fitness center, tennis and basketball courts, a church, kid’s playground, fishing lake and a restaurant/cafe. 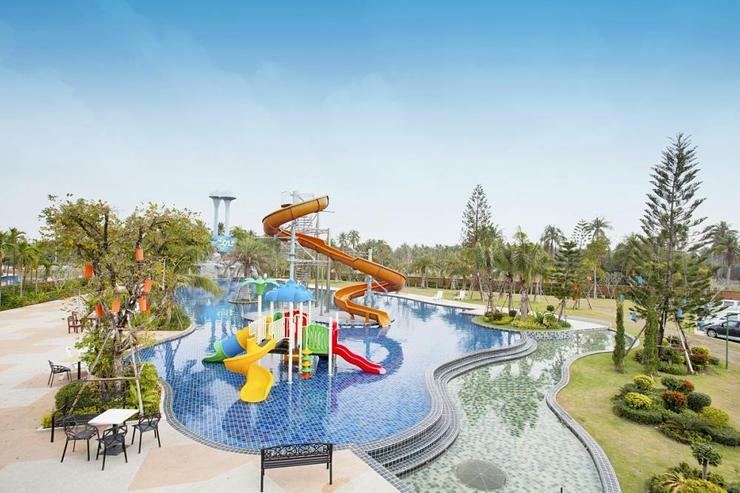 Golf courses such as Rayong Green Valley, Phoenix GC and st Andrews 2000 are all a 10-minute drive away. 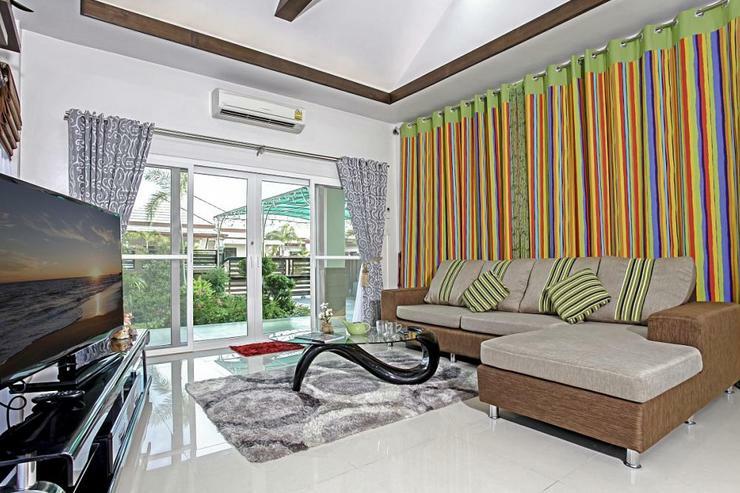 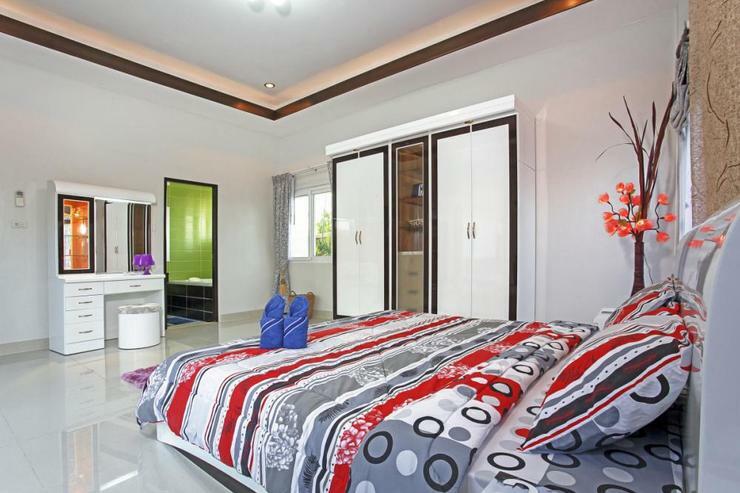 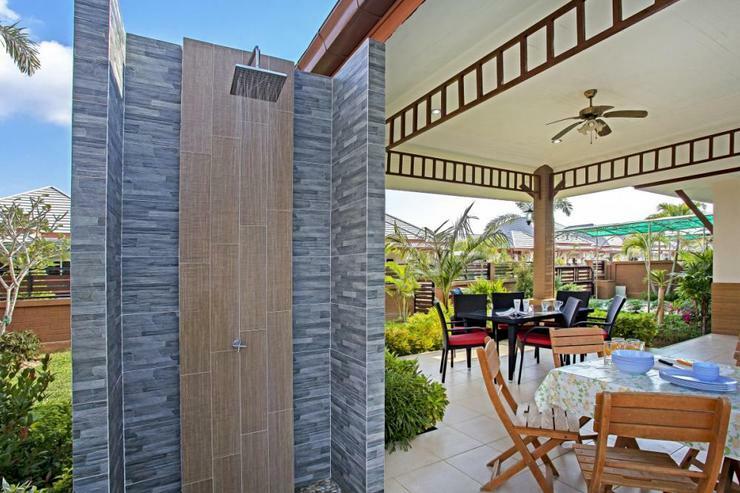 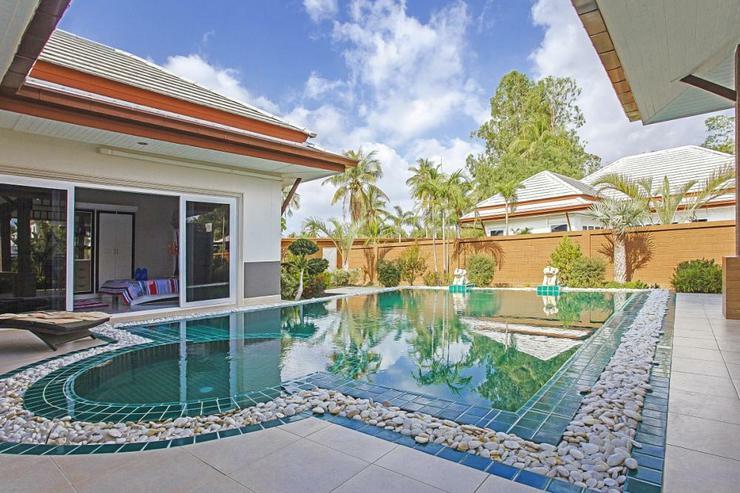 This villa rental is located in Bangsaray, in the heart of the countryside, basking in a world-class development near to Silverlake Vineyard and Big Buhdha Mountain. 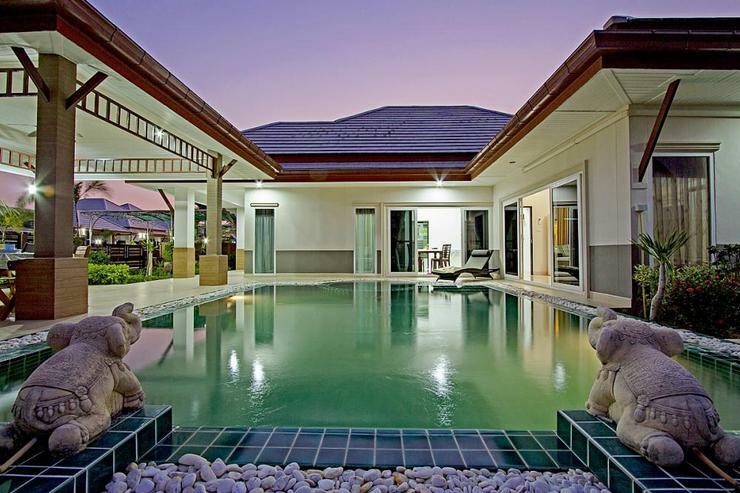 With Bangsaray Beach just a 5-minute drive, this is a villa that merges a peaceful location in close proximity of many local attractions. 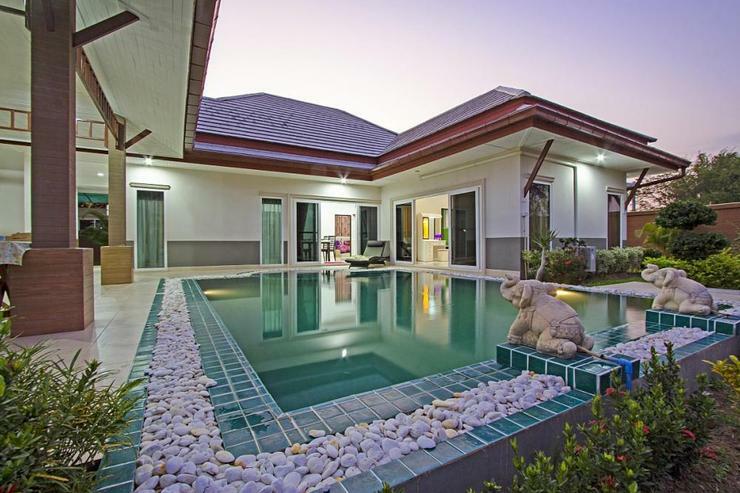 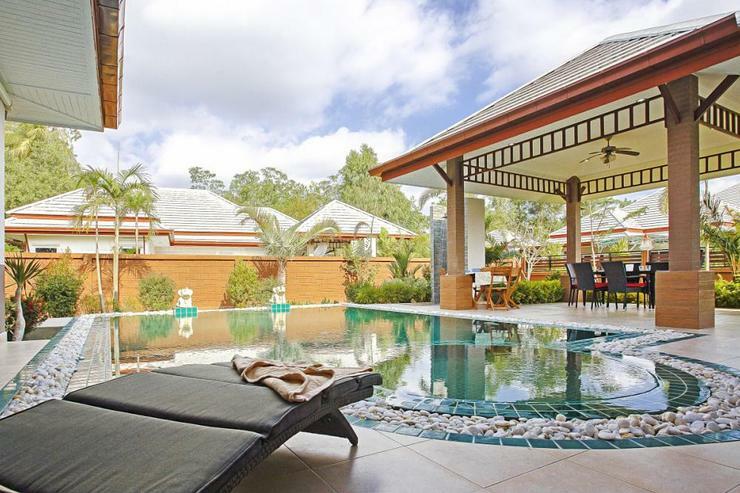 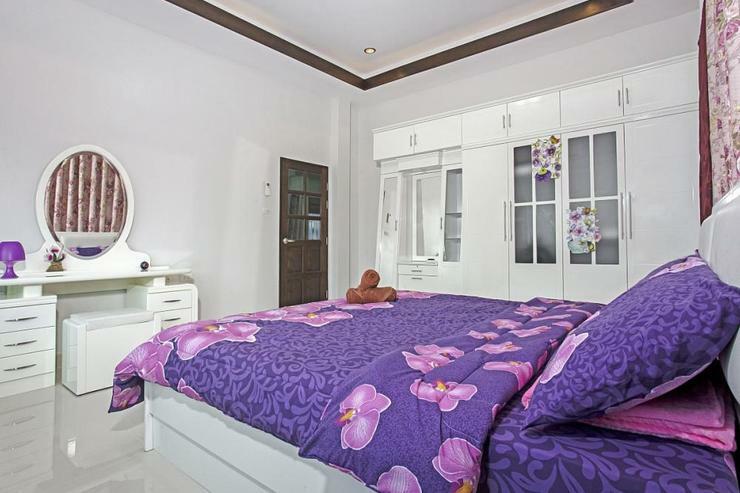 The villa enjoys a modern and comfortable design, coming with a nice and tidy garden with many flowers and plants, next to a Thai garden sala that sits next to the private swimming pool with its kid's section. 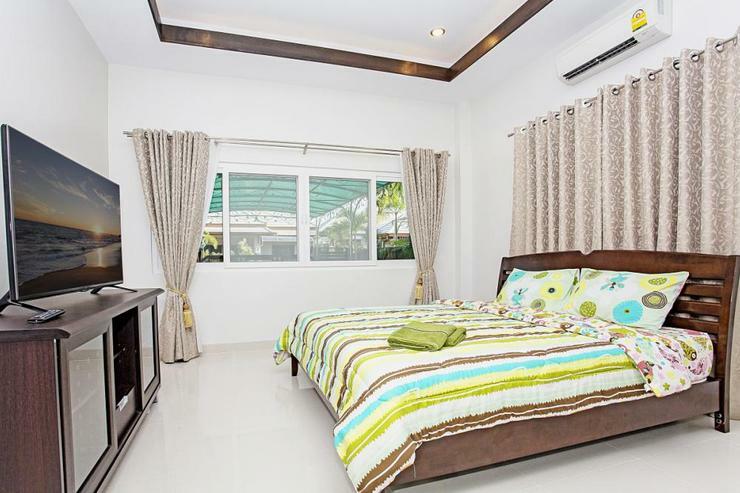 The interior of the villa is stylish, equipped with 5 bedrooms, 3 bathrooms, an open plan lounge with dining room and a fully fitted kitchen. 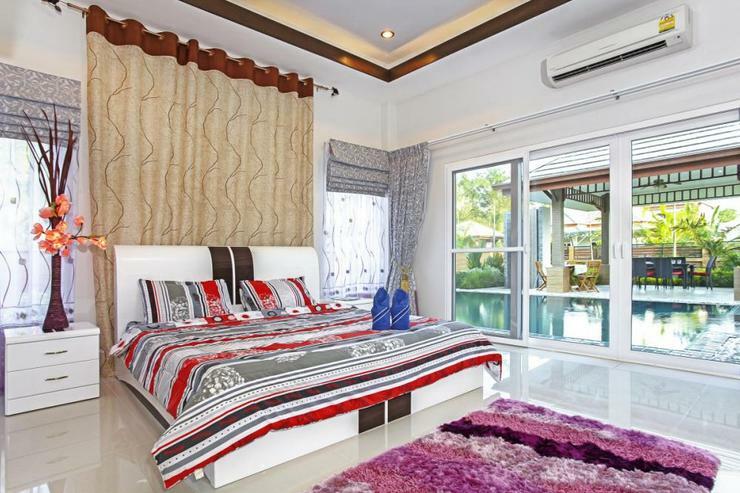 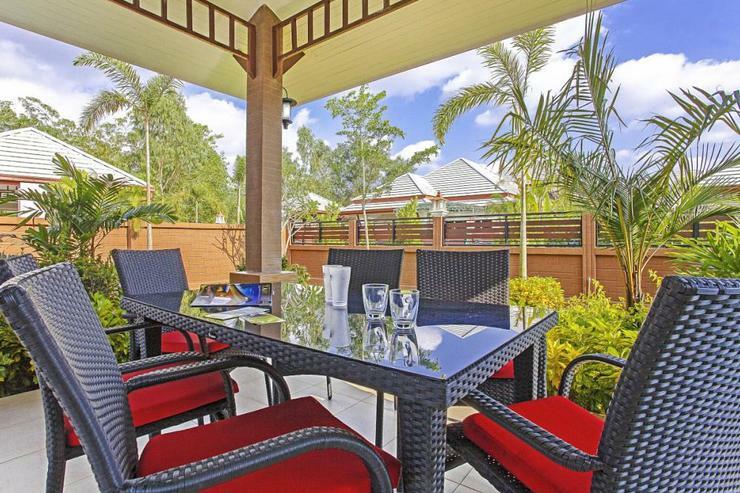 The villa sleeps 10 people across its bedrooms, ideal for a family a group of friends. 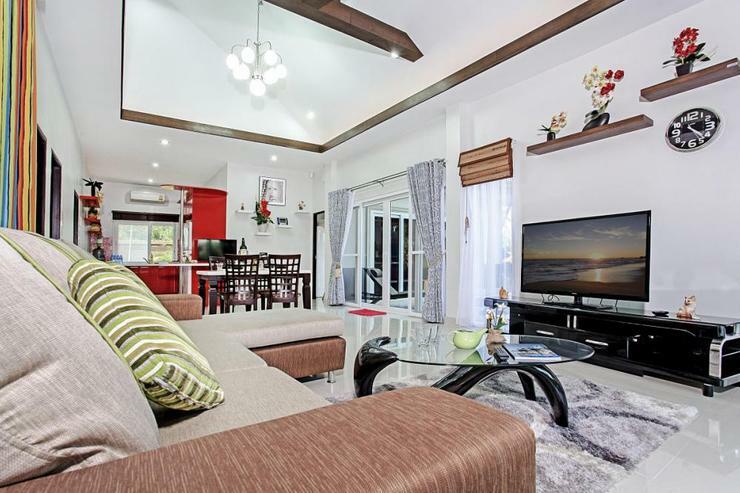 The villa is located in a high quality villa development in the Bangsaray countryside, close to Silverlake Vineyard, Big Buddha Mountain and Nong Nooch Gardens, with Bangsaray Beach being just a 5-minute drive. 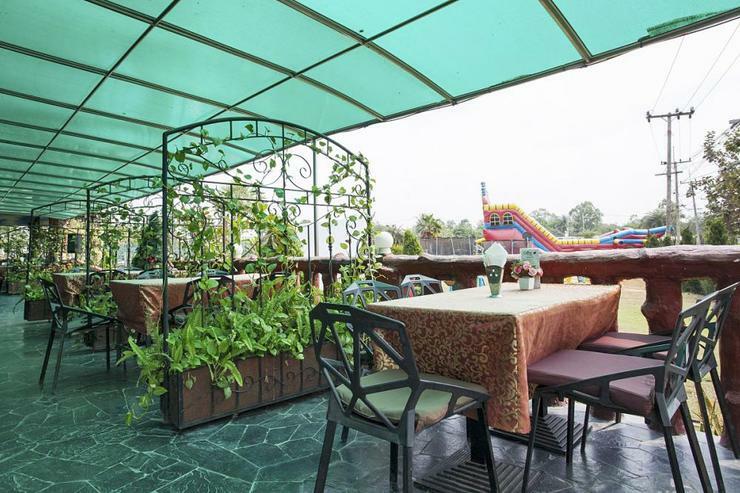 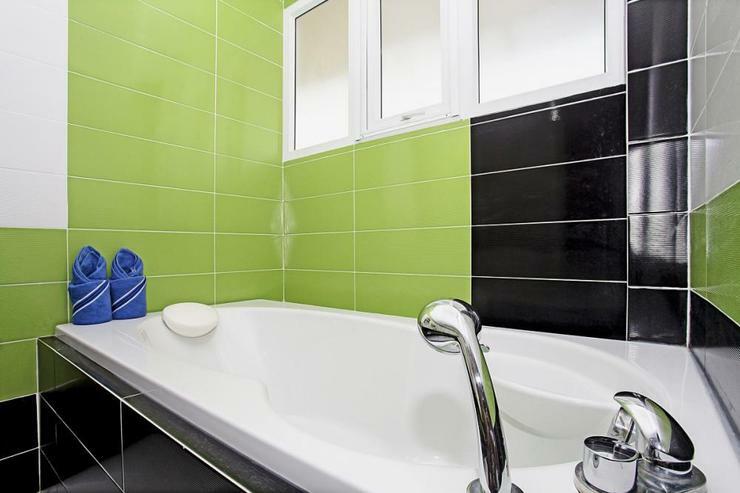 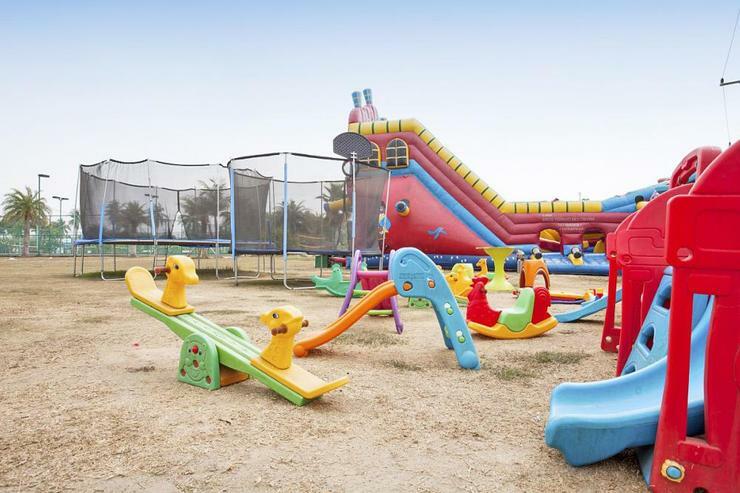 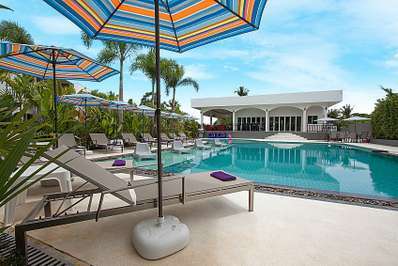 The excellent onsite facilities include a church, a restaurant/café, fitness center, kid's playground, a communal pool with waterslide, a fishing lake and tennis and basketball courts. 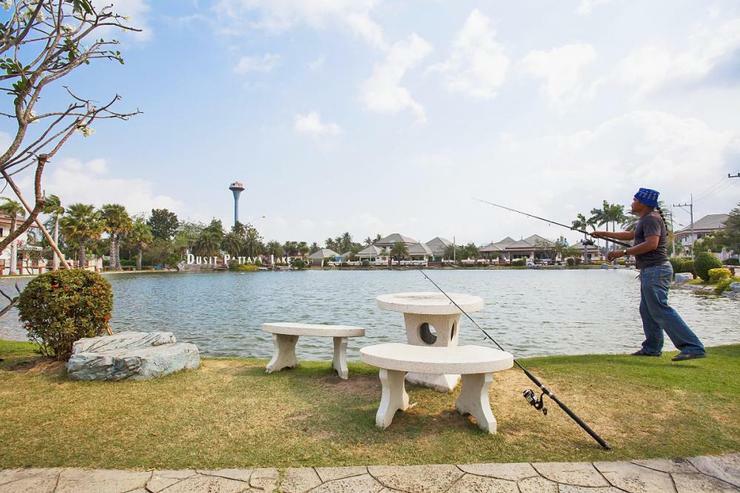 If you are coming here to play golf, Phoenix GC, St Andrews 2000 and Rayong Green Valley are just a 10-minute drive.